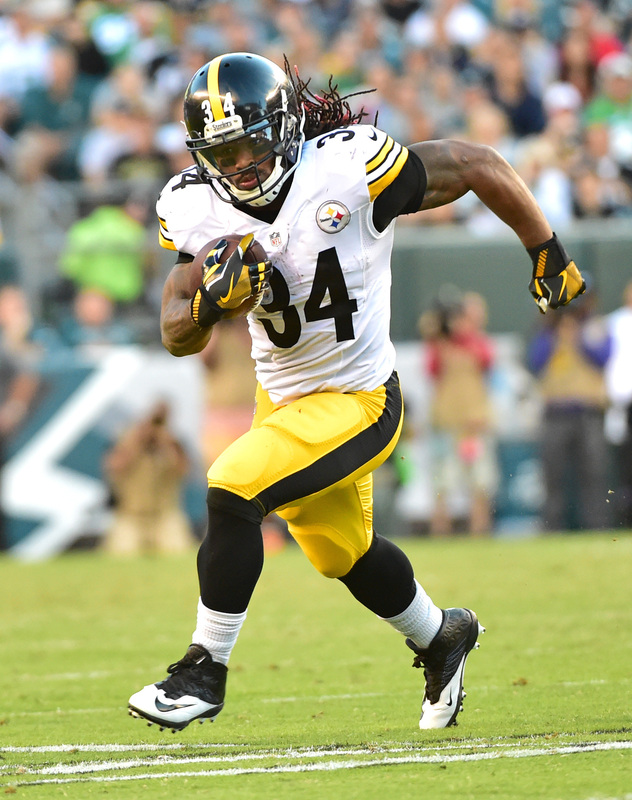 Veteran running back DeAngelo Williams isn’t ready to officially call it quits yet and isn’t ruling out a return to the field for the 2018 season, he said on ESPN. 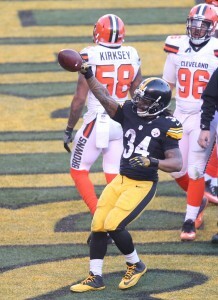 An 11-year running back with the Panthers and Steelers, Williams twice led the league in rushing touchdowns (2008, 2015) and earned one Pro Bowl selection (2009). Though he did not sign with a team in 2017, he appeared to have plenty left in the tank in his two seasons serving as a complement to All-Pro back Le’Veon Bell in Pittsburgh. Though it doesn’t sound like he’s going to jump at the first offer, Williams could provide a contender with a solid backup in 2018. 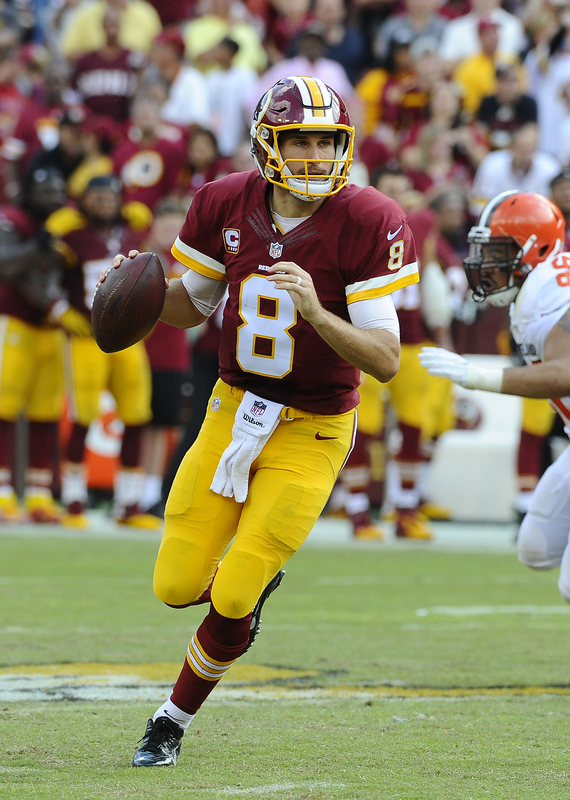 Redskins quarterback Kirk Cousins could hit free agency next offseason, which would force the team to engage in a bidding war if it wants to retain him, but it wouldn’t be a shock to see Cousins re-sign in 2018, writes Dan Graziano of ESPN.com. The standoff between the Redskins and Cousins isn’t personal, notes Graziano, who expects him to stay with them if they make him the best offer. Otherwise, Graziano runs down a slew of other potential suitors that could make Cousins one of the richest players in the game if he reaches the open market in March. Mike Florio of Pro Football Talk suggests that a Cousins derby could look a bit like Hall of Fame defensive end Reggie White’s trip to free agency in 1993, when most of the league pursued him before he signed with Green Bay, as well as the sweepstakes for quarterback Peyton Manning in 2012. Manning drew vast interest before joining the Broncos. In theory, Saints quarterback Drew Brees is in the same situation as Cousins. Except, Brees has made it pretty clear that he doesn’t want to play anywhere but New Orleans, as Mike Triplett of ESPN.com writes. The 38-year-old could have become an unrestricted free agent this offseason and cashed in on a weak QB market, but he instead gave up his leverage by signing a one-year, $24.25MM extension just before the 2016 opener. For a morale boost, Triplett thinks the Saints should do the same thing before the 2017 season kicks off. Then again, since Brees hasn’t given the team any real reason to think he’ll bolt in free agency next year, there isn’t a ton of pressure to get that done. Brandon Beane, who spent 19 years in Carolina’s front office before taking over as the Bills’ general manager in May, endorses the Panthers’ decision to bring in Marty Hurney as the interim GM. “Hiring Marty is an excellent move for the Panthers,” Beane told David Newton of ESPN.com. “He knows the organization inside and out and has great relationships with many people in their front office and coaching staff. I wish him nothing but the best in his return to Carolina.” Most of Beane’s tenure in Carolina was spent working under Hurney, who first served as the team’s GM from 2002-12. Free agent running back DeAngelo Williams would be willing to pull a Hurney and return to the Panthers, with whom he played from 2006-14, but the club should stay away, argues Scott Fowler of the Charlotte Observer. Not only do the Panthers have a full complement of running backs (Jonathan Stewart, Christian McCaffrey, Curtis Samuel, Fozzy Whittaker and Cameron Artis-Payne), but Fowler points out that Williams has badmouthed the Panthers since his departure and, at 34 years old, has taken a pounding during his career. Dave Gettleman is out as GM in Carolina and some former Panthers notables are in favor of the surprise firing. The latest to join the fray is former Carolina running back DeAngelo Williams, who previously said that the Panthers were one of four teams that he would refuse to play for in 2017. “I want to publicly say [the Panthers are] off my list of teams I won’t play for due to the firing of that snake Dave Gettleman,” Williams tweeted. The 34-year-old Williams spent the first nine seasons of his career in Carolina, but he left with a bad taste in his mouth after clashing with Gettleman. Cornerback Josh Norman and wide receiver Steve Smith left the Panthers with similar feelings and they also took to social media on Monday to celebrate Gettleman’s firing (Twitter links). Panthers fans shouldn’t go dusting off their Williams jerseys just yet. The team is well stocked at the position with Jonathan Stewart, first round pick Christian McCaffrey, and second round pick Curtis Samuel leading the way. Familiar faces Fozzy Whittaker and Cameron Artis-Payne are also under contract. Earlier this month, DeAngelo Williams told ESPN.com’s Adam Schefter that he wanted to continue playing in 2017. However, he said that there were four mystery teams he refused to play for. The running back has now revealed the identity of those teams (audio link). Surprisingly, the Panthers are one of the teams that Williams says he will not sign with. The 34-year-old spent the first nine seasons of his career in Carolina, but he left there with a bad taste in his mouth because of the way his departure played out. He also said that he would not sign with the Cowboys, because he grew up a 49ers fan. The Browns and Jaguars, Williams says, are also not in consideration, because of their losing seasons. Williams was not exactly delicate as he broke down his reasons for crossing off each club. In theory, that leaves 28 teams for Williams to possibly join this summer. However, his age and odometer are clearly working against him as we have heard little chatter around the veteran tailback. They say that beggars can’t be choosers, and Williams is being a chooser in the most unorthodox way by ruling out four teams that he could possibly join. As of this writing, all four of the teams listed by Williams seem pretty well set at running back. However, if one of those clubs loses an RB to injury this summer, he may regret his words. Two years ago, at the age of 32, DeAngelo Williams started 10 games for the Steelers and produced 11 rushing touchdowns, 4.5 yards per carry, and 40 receptions through the air while filling in for Le’Veon Bell, who had been suspended and subsequently injured. In 2016, sidelined for seven games by his own health questions, Williams managed only 3.5 yards per touch on 98 attempts. Thus far, Williams hasn’t been linked directly linked to any clubs, but he made clear earlier today that he intends to play during the 2017 campaign. It’s possible that he’ll have to wait for an injury to occur before receiving a call, something to which Williams alluded to today. I recently ranked Williams as the third-best free agent back available, behind fellow veterans Chris Johnson and Rashad Jennings. Detroit’s 2016 rushing offense was, by almost any measure, putrid. On an NFL-low 350 rushing attempts, the Lions finished 27th in yards per carry, 25th in DVOA, and 31st in adjusted line yards, the latter a measure of a club’s offensive line strength. Detroit attempted to rectify its front five this offseason, swapping out Larry Warford and Riley Reiff for T.J. Lang and Ricky Wagner, but the team’s crop of backs has essentially remained stagnant. Getting former second-round pick Ameer Abdullah back from a Lisfranc injury should help matters, and the Lions have praised reserve Dwayne Washington, but the club’s only free agent addition or draft choice in the backfield was former Viking Matt Asiata, who plodded to a 3.3 yards per carry average a season ago. Williams, then, could offer Detroit a bit more dynamic safety net behind its younger runners. Among the 19 running backs that managed at least 200 carries in 2016, Melvin Gordon finished 13th with only 3.93 yards per rush. So although he scored 10 touchdowns on the ground, it stands to reason the former first-round pick could use a breather from time to time. Kenneth Farrow, who served as Gordon’s primary backup last season, posted only 3.2 yards per carry on 60 attempts, while Branden Oliver (who hasn’t seen the field since October 2015), Andre Williams, and Kenjon Barner aren’t exactly an inspiring crop. With Danny Woodhead having left via free agency, the Chargers have a need for a back like Williams, who can succeed in the passing game. Like Gordon, Todd Gurley struggled from a lack of team running back depth, as he finished 19th out of 19 on the list linked above with just 3.18 yards per attempt. The Rams offense was a disaster as a whole, ranking 32nd in both pass and rushing DVOA. Los Angeles has seemingly found a fix at left tackle, upgrading from Greg Robinson to Andrew Whitworth, and are now 18th in Pro Football Focus‘ offseason offensive line rankings. Still, when the “running back” with the most carries behind Gurley is Tavon Austin with 28, backups are an issue. The Rams already signed former Cowboy Lance Dunbar to handle third-down work, but Williams would offer a more prototypical skill-set as a reserve. Jay Ajayi was excellent during his second NFL season, rushing for more than 1,200 yards while ranking seventh in DYAR and finishing third in PFF’s running back grades. But there are certainly reasons to be concerned about Ajayi, and chief among them is the knee issues that led to his draft slide in 2015. Severe knee injuries scared off teams that year, and Ajayi has put a lot of work in during the past four seasons. Between Boise State and Miami, Ajayi has managed 249 carries in three of the past four seasons (including a whopping 347 attempts during his final collegiate campaign). Personally, I’m a fan of backup of Damien Williams, but his lack of production during his three-year NFL tenure may leave the Dolphins looking for an experienced reserve such as DeAngelo Williams. The Giants regard second-year runner Paul Perkins as a three-down back, but they haven’t added much insurance in the event Perkins doesn’t perform (or gets injured) in 2016. Shaun Draughn and Orleans Darkwa haven’t done much in their limited NFL action, Shane Vereen has proven himself to be a passing game specialist, while fourth-round rookie Wayne Gallman was labeled an impatient runner and compared to journeyman Khiry Robinson in Lance Zierlein’s NFL.com predraft profile. Big Blue’s rushing attack ranked 26th in DVOA a season ago, and doesn’t figure to improve if Perkins doesn’t grow into a No. 1 role. Still, the Giants are the least likely club on this list to bring in Williams or any other veteran. Williams was an excellent investment for the Steelers, as he provided stability in the club’s backfield (especially in 2015) while earning only $4MM over the life of a two-year contract. He could conceivably play a similar role for Pittsburgh in 2017, but the Steelers have added other factors behind Le’Veon Bell. In addition to signing free agent Knile Davis, Pittsburgh also spent a third-round choice on local product James Conner. Fitzgerald Toussaint is also in the discussion for backup carries after posting 4.1 yards per attempt in 58 touches last year. 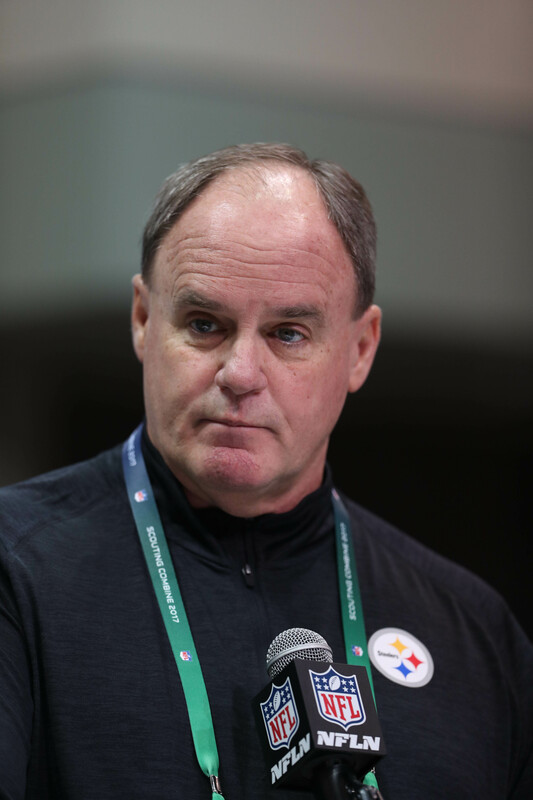 General manager Kevin Colbert said in March the Steelers weren’t yet closing the door on Williams, but that statement was made before Pittsburgh draft Conner. Williams himself said today he wasn’t ruling out a return to the Steelers. Yes,DeAngelo Williams is 34 years old. And, yes, he made his pro wrestling debut last weekend. But the running back is not ready to leave the game of football just yet. Williams’ largely successful debut in the squared circle will not lead to a new career just yet, because he feels that he still has unfinished business to take care of on the gridiron. It’s easy to understand why he feels he has a lot left in the tank. Williams is only two years removed from a season in which he had 907 yards on the ground (4.5 yards per carry), 11 rushing touchdowns, and 40 catches for 367 receiving yards. Last year, he was held back by November knee surgery, but based on the way he looked in his tag team match, he appears to be all healed up. Back in March, the Steelers indicated that the door was still cracked open for Williams to return, but we haven’t heard anything else on that front in the last three months. Right now, the Steelers appear set at running back with Fitzgerald Toussaint, third round pick James Conner, and free agent pickup Knile Davis behind star Le’Veon Bell. There hasn’t been word of any other teams having interest in Williams this offseason, but that can always change with an injury in training camp. The Steelers weren’t overly active in the free agent market, but the mid-level signings the club did make will likely comprise the entirety of Pittsburgh’s offseason transactions. General manager Kevin Colbert told reporters, including Gerry Dulac of the Pittsburgh Post-Gazette (Twitter link), that the Steelers probably won’t ink any more players during the free agent period. Pittsburgh mostly focused on internal players over the past month, as it assigned the franchise tag to running back Le’Veon Bell and extended wide receiver Antonio Brown. Additionally, the club re-signed linebackers James Harrison and Steven Johnson, quarterback Landry Jones, and tight end David Johnson. Wideout Justin Hunter, cornerback Coty Sensabaugh, running back Knile Davis, and defensive lineman Tyson Alualu represent the Steelers’ external additions. 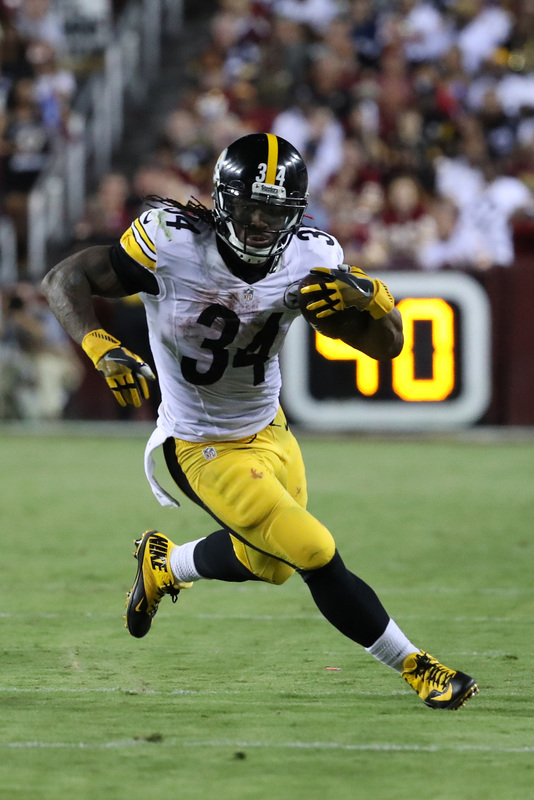 One free agent still on the board is backup running back DeAngelo Williams, who remains unsigned more than two weeks into free agency. While Colbert didn’t intimate Williams is in the Steelers’ plans, he said the club won’t close the door on the veteran back until “[they] have to,” tweets Mark Kaboly of DKPittsburghSports.com. Williams, 34 next month, is PFR’s No. 5 free agent running back. Because Pittsburgh didn’t do much during free agency, the team’s draft strategy hasn’t been affected by additions, per Colbert (Twitter link via Dulac). PFR pointed to the pass rush and cornerback as areas of need when assessing the Steelers’ potential offseason plans earlier this year. The initial wave of NFL free agency is now complete, and while many of the league’s top available players are now off the board, there are still plenty of quality options still on the open market. Listed below are our rankings for the top 15 free agents at each offensive position. These rankings aren’t necessarily determined by the value of the contracts – or the amount of guaranteed money – that each player is expected to land in free agency. These are simply the players we like the most at each position, with both short- and long-term value taken into account. Tony Romo is not a free agent…at least not yet. If the Cowboys do not find a suitable trade and release him, you’ll find him at the top of this list. 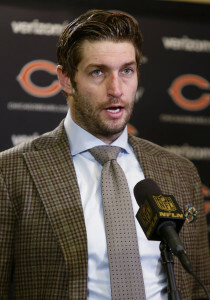 Laugh if you must, but Cutler is far and away the best quarterback available on the open market. While most of this year’s QB-needy teams are done with their free agent shopping, the Jets are still searching for their 2017 starter and no one would make more sense for them than Cutler. He’s not all that far removed from playing solid football and he’s a logical transitional option for the Jets until they can isolate a better, younger option for 2018. Kaepernick’s reps wisely told the press that he will be standing for the National Anthem this year. Still, Kaepernick is an outspoken guy who wants to use his platform to discuss hot button issues, so there’s no guarantee that the media circus around him will cease. Jets owner Woody Johnson loves seeing his team on the back pages of the New York tabloids, but even he has to have more sense than to entertain Kaepernick. 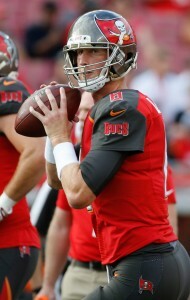 McCown, who has been contact with the team, would be an okay choice if they can’t get something done with Cutler. Chase Daniel could be an option too, but there isn’t much game film on him. Needless to say, the No. 3 ranked player on this list isn’t an option in New York. The Vikings have moved on and Peterson will not be back in Minnesota. Where he goes from here is anyone’s guess. When Peterson’s option was declined by the Vikings earlier this month, there were tons of stories (likely sourced by Peterson’s camp) about interest from a litany of contenders. Since then, each team – through anonymous sources – has denied being in the mix for the veteran. It would be easy to doubt Peterson at this juncture, but he has come back from serious injuries multiple times in his career and he is only one year removed from his stellar 2015 campaign. 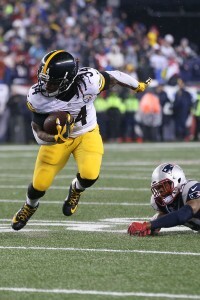 He gets the top spot over the bruising Blount as well as Charles, who hasn’t been healthy in a long while. Jennings was brought to New York with the idea that he would be the team’s workhorse. Unfortunately, two of his three seasons with the G-Men were marred by injury. Jennings is currently putting his agility to good use on Dancing With The Stars and it remains to be seen how committed he is to football. After that, we have a trio of vets (Hightower, Williams, CJ2K) who could still advance the ball in limited spurts. In case you’re wondering – Mike Gillislee is not listed here because he is a restricted free agent. Line has interest from the Jets. Meanwhile, it’s not clear if the other three fullbacks listed here will be able to find work. Coleman avoided jail time on hit-and-run charges in October, but we haven’t heard much about him in recent months. The market has been slow to develop for Aiken but it sounds like things could pick up soon as he’s set to meet with the Colts and Seahawks. Aiken, 28 in May, had only 29 receptions last year, but he had 75 grabs for 944 yards in 2015. Cruz was on the field for 15 regular season games last year and he could recapture some of his old form if a team uses him in the slot. Quick quietly had 44 catches for 564 yards and three touchdowns with the Rams last year, and he was playing in a less-than-stellar offense. Boldin, meanwhile, had 67 catches in 2016, but he averaged just 8.7 yards per reception. It’s a thin group at tight end and everything drops off dramatically after Tamme and Rivera at the top. Donnell made some noise during his time with the Giants but it’s been a while since he’s done anything of note. Tamme and Rivera could be the only two players from this group to land a deal with any real guaranteed cash. Things have thinned out at tackle but there are still some impact guys here including Clady, Dunlap, and the versatile Pasztor. Sebastian Vollmer, if healthy, would be an interesting pickup for a team in need of offensive line depth. Evans can still go and he finished out as Pro Football Focus’ No. 36 guard in the NFL last season. We have a few notable centers here as well in Mangold, Sullivan, and Barnes. Some teams are asking Mangold to switch to guard, but he is hoping to continue in the middle. NFL free agency is right around the corner! The legal tampering period starts on Tuesday and free agency officially starts on Thursday. The list of available free agents will change between now and then as players re-sign with teams or get cut loose, but we have a pretty good idea of who will be available right now. After looking at the top defensive players, we now shift our attention to the other side of the ball. Here are our rankings for the top 15 free agents at each position. The rankings aren’t determined by earning power, they are simply the players we like the most at each position, with a combination of short- and long-term value taken into account. You won’t find restricted free agents or franchise tagged guys here since they are unlikely to go leave their current clubs. Player evaluation is always subjective, so we encourage you to make your voices heard in the comments section in cases where you disagree with us. Colin Kaepernick’s agents have (wisely) let everyone know that their client will stand for the National Anthem in 2017. That may seem like a minor point, but teams say they would have automatically removed him from consideration if he continued his attention-grabbing protest. He grabbed headlines for his actions on the sidelines last year, but he actually turned in an OK season. From a football standpoint, Kaepernick would make sense for a lot of teams as a QB2 with upside. Interestingly, this list includes three quarterbacks who couldn’t cut it as the Jets’ starter and three rejects from the 49ers. They say that one man’s trash is another man’s treasure and all six of those players (Ryan Fitzpatrick, Kaepernick, Mark Sanchez, Geno Smith, Christian Ponder, Blaine Gabbert) come with varying degrees of potential and proven effectiveness. Smith, somehow, could reportedly be retained by the Jets and installed as the starter in 2017. Ryan Nassib is just outside of the top 15 here with EJ Manuel getting the final spot. Despite positive word about his play in practice, Nassib is unproven and the Giants’ apparent lack of interest in re-signing him says a lot. It’s also possible that he might not be 100% after ending the 2016 season on IR with an elbow injury. Manuel, for all his warts, has shown potential in small bursts. 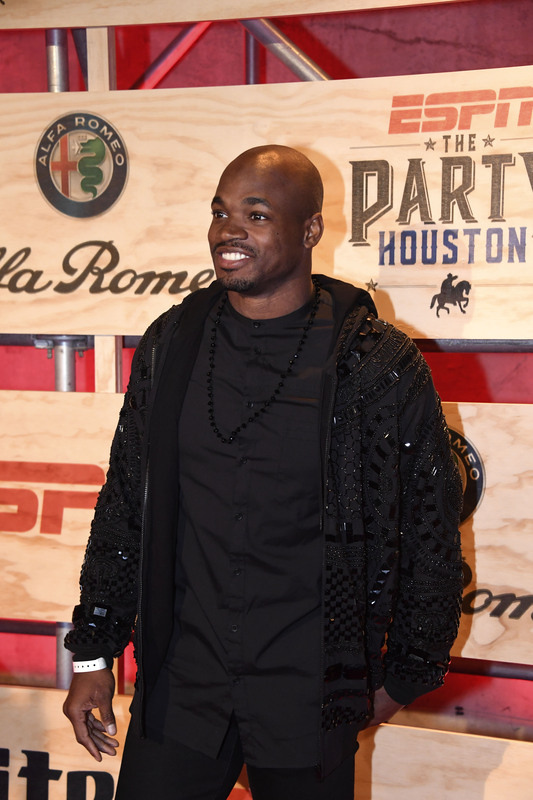 As expected, the Vikings have cut Adrian Peterson loose and he is expected to garner interest from contending clubs this week. Some might peg Peterson as the most talented running back in this year’s free agent class, but it all comes down to how you weigh his age and injury history. Peterson has shocked the football world in the past with an incredible comeback, but I’m a little skeptical of his ability to do it again in his age-32 season. Eddie Lacy, who has injury question marks of his own, takes the top spot at the position. 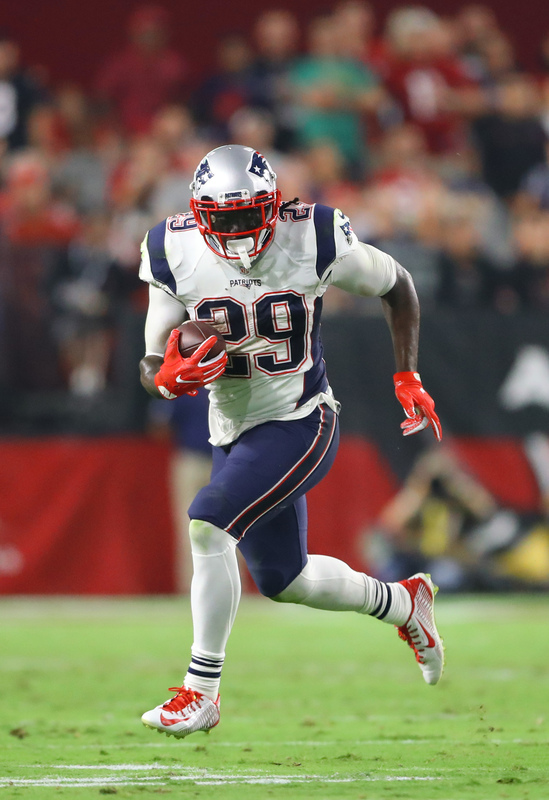 The Patriots believe they won’t be able to match the offers that come in LeGarrette Blount‘s direction. Latavius Murray could circle back to the Raiders, but he won’t be agreeing to a deal with them before free agency opens on Thursday. Jamaal Charles has the most impressive resume of anyone on this list, with the exception of Peterson. However, no one knows exactly what he can do after playing eight games in the last two years. He’ll turn 31 in December and that’s usually not an indicator of success for running backs. Kyle Juszczyk graded out as the best fullback in the NFL last year, according to Pro Football Focus. The Ravens would be wise to keep him, but if they don’t, he’ll draw interest from teams all over the league. Juszczyk earned his first career Pro Bowl nod as he caught 37 passes for 266 yards. His exceptional 92.1 pass blocking score from PFF led all other fullbacks by a wide margin. Mike Tolbert is ranked lower than you might expect due to his age and diminished blocking skills. He’ll turn 32 in November and it’s not guaranteed that he’ll find another job after getting released by the Panthers, though the Jets are said to have interest in him. Gang Green could also look into signing Patrick DiMarco and Marcel Reece. If you ask me, they should target DiMarco if they want to truly emphasize the running game. DiMarco finished the year with the best run blocking score in the NFL, according to Pro Football Focus. 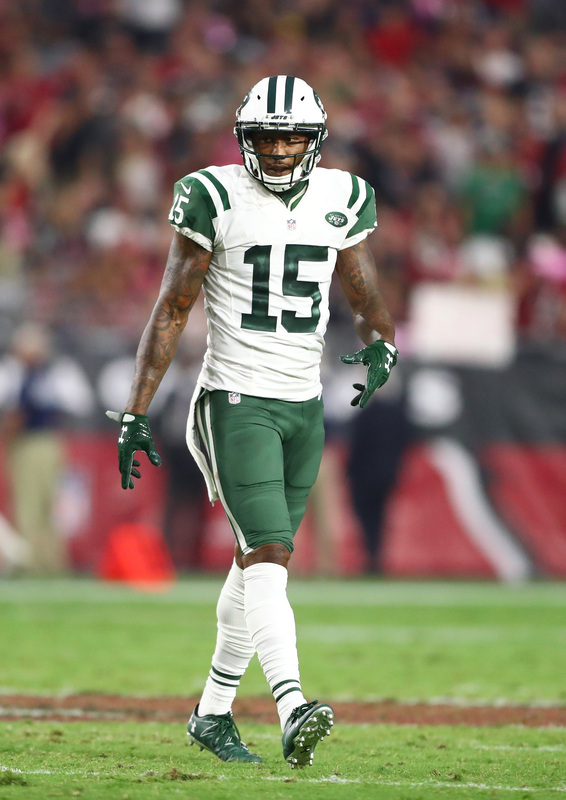 Brandon Marshall, welcome to the free agent pool. Marshall is just two years removed from a year in which he had 109 catches, 1,502 yards, and 14 touchdowns. However, his numbers dipped significantly last season as the entire Jets offense slumped. The veteran will get tons of interest this week and his suitors may include the Giants, Patriots, and Ravens. Kenny Britt managed to put up big numbers in the midst of the Rams’ offensive quagmire last season. He now hits free agency at a great time and the WR-needy Eagles are the latest team to be connected to him. The South Jersey contingent of the Eagles fanbase will appreciate the homecoming of the Rutgers product. At the same time, they should hope he exhibits a better attitude than he did on the banks of the old Raritan. The talent is definitely there with Markus Wheaton and the team that takes a chance on him could wind up very, very happy. Robert Woods, historically, thrived in games where Sammy Watkins was unavailable or limited. Woods doesn’t turn 25 in until April and there’s a case to be made that he should be higher on this list. Cordarrelle Patterson has turned out to be a very capable returner, but there are definitely ambitious coaches out there who think they can still mold him into a great receiver. Michael Floyd is now years removed from his best work in Arizona, so one has to wonder what he can contribute even if he has turned over a new leaf. Victor Cruz is an exceptionally hard-worker and a team-first kind of guy. He’ll be a great addition to any locker room, but it’s anyone’s guess as to what he’ll do in 2017. We’ll say this: a return to the slot would greatly benefit him. Anquan Boldin just missed the top 15 and I don’t necessarily feel great about it. Brian Quick also missed the cut and it was a toss-up between him and Cruz for that last spot. Martellus Bennett is eager to cash in this month. There’s a “real possibility” he winds up elsewhere and he’ll get a monster deal if that happens. The Raiders and Jaguars are expected to be among the teams in pursuit. Filling in for Rob Gronkowski, Bennett caught 55 passes for 701 yards and seven touchdowns in 2016. You can never tell what the Patriots are thinking, but it sure feels like he’ll be leaving New England. In his first season with the Packers, Jared Cook appeared in ten regular season games and caught 30 of 51 targets for 377 yards and a touchdown. In the Packers’ two-game playoff run, he really turned it on with a total of 13 receptions for 181 yards and two scores. Cook will be a priority for the Packers to re-sign, but it doesn’t sound like they’ll get a deal done between now and March 9. Anthony Fasano finds himself ranked higher than some bigger names due to his blocking ability. PFF gave Fasano an 88.1 score for run blocking, which was the best of any tight end last year. His 72.9 pass blocking score was fourth-best among TEs. The Titans will make a real effort to keep him. Andrew Whitworth spent some time at guard last season but his best (and most profitable) position is on the outside. He’s 35, so he won’t lead all FA tackles in total money this year despite being our top-ranked free at the position. That mantle, by all indications, will belong to Ricky Wagner who could reportedly fetch around $10MM/year. The former fifth-round pick put it all together this past season in Baltimore and he won’t turn 28 until October. Russell Okung was thrust into the free agent market in February when the Broncos declined his option. This time around, it will be interesting to see whether he hires an agent. His previous deal was effectively a one-year pact with a club option for a four-year, $48MM deal with $20.5MM in guaranteed cash. After a so-so year, the Broncos wisely turned it down. Austin Pasztor is listed as a tackle here, though it’s quite possible he reverts to the interior line in 2017. Mike Adams, a former second-round pick, makes the cut for his natural talent, even though he hasn’t shown much at the professional level. Will Beatty also found his way to the Top 15, but his market will be capped after two injury-ridden years. Kevin Zeitler was the only offensive lineman to crack our Top 50 Free Agents list last week. Zeitler, 27 in March, was PFF’s No. 7 ranked guard in the NFL this year. After three consecutive strong seasons, he is going to get big bucks. Ronald Leary, who once pushed for the Cowboys to trade him, recognizes that a return probably isn’t in the cards. The Cowboys will go with La’el Collins in 2017 and beyond, but don’t cry for Leary. After making 12 starts in Collins’ place and ranking No. 25 among Pro Football Focus’ 76 qualified guards, Leary will find an eager market this week. J.C. Tretter graded out as a top 10 center last year, according to PFF, and he just turned 26. Stefen Wisniewski offers experience at both guard and center and there should be at least a few teams looking at him as a potential starter. Nick Mangold‘s injury woes are holding him back here. Apparently, some teams are asking him to play guard. NFL free agency will get underway on Thursday, March 9th, and while the list of free agents will change between now and then, we do have some idea of who will be available when free agency kicks off. The frenzy is right around the corner and it’s time for us to break down the outlook for each position. We’ll start today on offense, before getting to defense and special teams later this week. Listed below are our rankings for the top 15 free agents at each offensive position. The rankings aren’t necessarily determined by the value of the contracts that each player is expected to land in free agency, they are simply the players we like the most at each position, with both short- and long-term value taken into account. Restricted and exclusive-rights free agents are not listed here since they are unlikely to actually reach the open market. We’ll almost certainly be higher or lower on some guys than you are, so we encourage you to make your voice heard in our comments section to let us know which free agents we’ve got wrong. As of this writing, Kirk Cousins is far and away the best potential free agent quarterback in this year’s crop. By the time March gets here, we’re fully expecting Cousins to be spoken for. Ultimately, the Redskins could franchise tag him, work out a long-term deal with him, or swing some type of trade that nets them a massive haul of talent and picks. That will leave a crop of retread quarterbacks that would probably best serve as transitional options for QB-needy teams. Mike Glennon hasn’t done much in his 18 career starts, but talent evaluators are still in love with his size and potential. The 6’7″ quarterback will get more money this spring than you might expect, particularly since there are no surefire QBs in this year’s draft. Teams looking for stopgap QBs will find a plethora of experienced, though perhaps uninspiring, signal callers. Nick Foles, Brian Hoyer, and Ryan Fitzpatrick all have their best football behind them, but they could hold down the fort for a team in 2017 and maybe even find some success if the defense is strong enough. Of course, the ideal role for those guys would probably be as a backup to a better, younger quarterback. Consider Le’Veon Bell‘s name written in Etch-A-Sketch, because he is very unlikely to get near the open market. 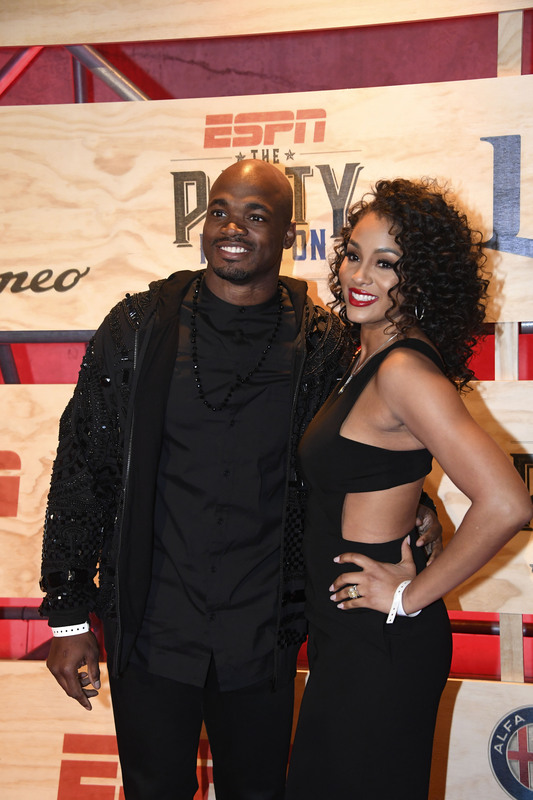 That could leave Eddie Lacy as the best tailback available in March. Lacy has struggled with weight issues in recent years and he lost much of the 2016 season to injury. Still, he is a bruising back that could nicely complement a quicker ball carrier. Before he was shut down for the year, Lacy was averaging 5.07 yards per carry in five games for Green Bay. In the last two years, LeGarrette Blount seems to have put his off-the-field troubles behind him. Whether that’s a sign of his maturity or a product of the Patriots’ culture remains to be seen. Teams can ignore his past indiscretions, but they will be wary of his age. Blount turns 31 in December. Latavius Murray has shown glimpses of being a special running back, but he has been inconsistent and his 4.0 yards-per-carry average of the last two years isn’t overly impressive. Darren McFadden ran for more than 1,000 yards in 2015, but 2016 was pretty much a lost year for him. Jacquizz Rodgers seemed to break out last year, but he wound up succumbing to the same injury bug that took down a host of other Buccaneers running backs. Speaking of injuries, Rashad Jennings was initially brought to the Giants to be a workhorse back, but two of his three years in New York were marred by ailments. Everyone in this tier has the potential to make a difference, but none should be counted on as anyone’s main guy in 2017. Mike Tolbert is ranked lower than you might expect due to his age and diminished blocking skills. 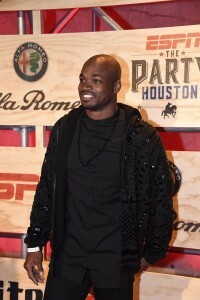 He’ll turn 32 in November and it’s not a given that he’ll find another NFL home after getting released by the Panthers. Alshon Jeffery has had two down years (by his standards) but he is still the cream of the wide receiver crop. His weak production and PED suspension in 2016 probably killed his chances of getting Dez Bryant-money, but he could still get a multi-year deal with a nice amount of guaranteed cash given the dearth of WR1 types available. Jeffery hasn’t set the world on fire lately, but plenty of GMs will chalk that up to the Bears’ quarterback situation. 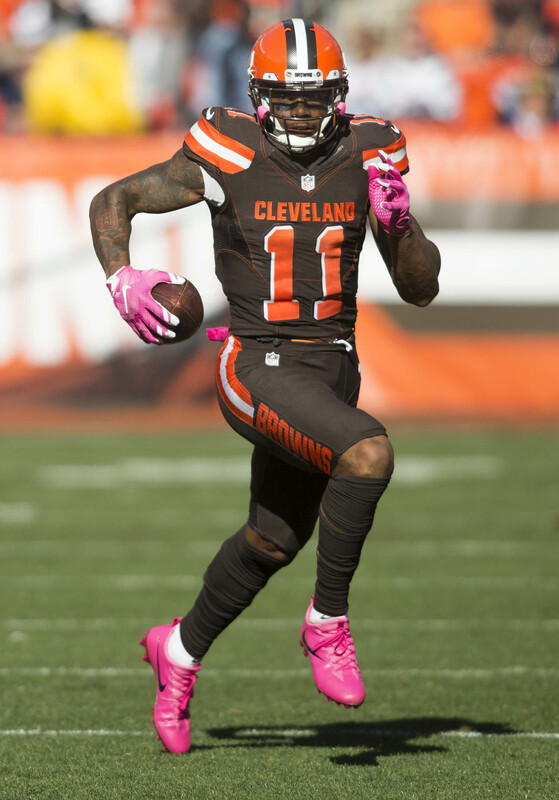 Few saw Terrelle Pryor‘s standout season coming. The former Buckeyes quarterback now stands as one of the best pending free agent receivers out there. We would be surprised if the Browns allow him to reach the open market, but if he does get there, he’ll get money thrown at him by teams looking for a No. 2 wide receiver. The Dolphins can replace Kenny Stills in-house and they need to save their dollars for Jarvis Landry‘s next deal, so we envision Stills testing the open waters. Despite his age, Pierre Garcon could reportedly garner $9MM+ per year on his next pact. Because of his maddening inconsistency, we have slotted Garcon one spot ahead of teammate DeSean Jackson. There’s also this: Jackson can break a game wide open with his blazing speed, but speed doesn’t usually age well. Jackson, who reportedly wants to return to the Eagles, turns 31 in December. Each player ranked No. 6 through No. 9 here offers potential and question marks in equal measure. Those around Kenny Britt have been questioning his work ethic and attitude since his Rutgers days, but his talent is undeniable. 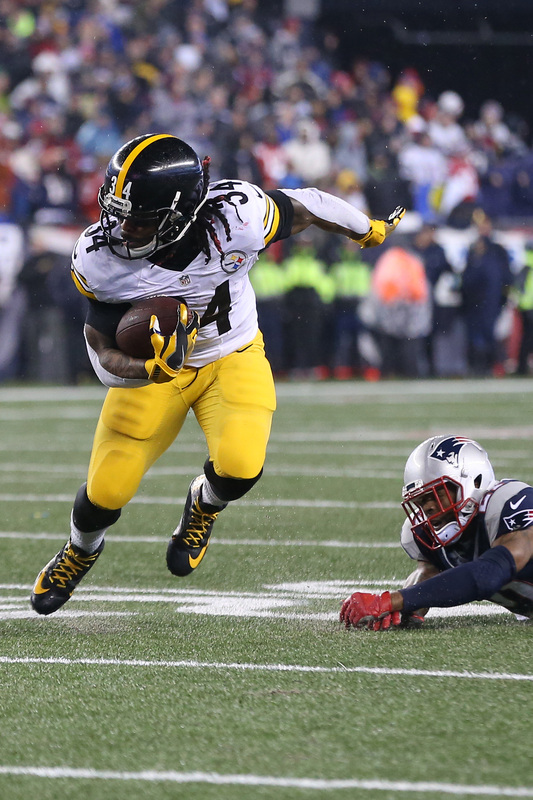 Markus Wheaton appeared destined for big things as the Steelers No. 2 wide receiver last year before an early season shoulder injury landed him on IR. Cordarrelle Patterson has all the physical tools to succeed and he put himself on the map last year as a kick returner. Will some team out there sign him to a multi-year pact and try to mold him into a receiver? Michael Floyd‘s rocky year ended with a Super Bowl ring, though he was not on the active roster in Houston. Floyd will be looking for a one-year, prove-it deal and there will be teams curious to see if he can reprise his 2013 season. Martellus Bennett sounds like a man who is eager to cash in on the open market. There’s a “real possibility” he winds up elsewhere, according to NFL.com’s Ian Rapoport, and he’ll get a monster deal if that happens. Filling in for Rob Gronkowski, Bennett caught 55 passes for 701 yards and seven touchdowns in 2016. In his first season with the Packers, Jared Cook appeared in ten regular season games and caught 30 of 51 targets for 377 yards and a touchdown. In the Packers’ two-game playoff run, he really turned it on with a total of 13 receptions for 181 yards and two scores. Cook will be a priority for the Packers to re-sign, but it’s not clear if they’ll get a deal done between now and March 9. Anthony Fasano finds himself ranked higher than some bigger names due to his blocking ability. PFF gave Fasano an 88.1 score for run blocking, which was the best of any tight end last year. His 72.9 pass blocking score was fourth-best among TEs. Andrew Whitworth spent some time at guard last season but his best (and most profitable) position is on the outside. He’s 35, but he is our top-ranked free agent tackle after turning in another stellar year. Ricky Wagner could reportedly fetch around $10MM/year. The former fifth-round pick put it all together this year in Baltimore and he won’t turn 28 until October. Kevin Zeitler is the only offensive lineman to crack our Top 10 Free Agents list from late January. Zeitler, 27 in March, was PFF’s No. 7 ranked guard in the NFL this year. After three consecutive strong seasons, he is going to get big bucks. Ronald Leary, who once pushed for the Cowboys to trade him, recognizes that a return probably isn’t in the cards. The Cowboys will go with La’el Collins in 2017 and beyond, but don’t cry for Leary. After making 12 starts in Collins’ place and ranking No. 25 among Pro Football Focus’ 76 qualified guards, Leary will find an eager market in March. Dallas Robinson contributed to this post.